A garda sergeant involved in a confrontation in which a man was shot in the leg is under armed protection after receiving online threats. A number of threats have appeared online, apparently giving details of the officer's rural home as well as comments such as "go get him". Armed gardaí were deployed to the sergeant's home on Monday night, just hours after the shooting incident, as the threats were deemed to be "very significant". "The situation is deemed so serious that armed gardaí were deployed to his family home on Monday night and this policing plan is ongoing," the source said last night. The shooting took place shortly before 6pm on Monday at a property in the Co Longford townland of Bolie, which is between Edgeworthstown and Granard. The Garda Siochana Ombudsman Commission (Gsoc) is investigating the incident, while the scene of the shooting, in which a 28-year-old man received minor injuries to his leg, remained sealed off yesterday. The injured man has been named locally as Co Longford man Ned 'Blondie' Stokes. During the course of the incident, it is understood the garda sergeant discharged his firearm in the direction of an aggressive "guard dog" that he felt was about to attack him. It is understood the dog was killed, and Mr Stokes was injured during the same incident. It emerged last night that investigators couldn't find the dog's body, and there were some claims on social media that the animal had not been shot. It is understood that the armed garda sergeant arrived at the scene after a member of the public called Granard garda station claiming that he was unable to get his van back after it had been repaired by associates of Mr Stokes. The caller had driven to Co Longford from the Newmarket area of Co Cork to retrieve the vehicle, but when he arrived in Bolie a confrontation broke out and gardaí were called to the scene. When gardaí arrived at the scene, the confrontation became more heated and a woman "pulled a slash hook" on the van's owner. The weapon was retrieved but shortly afterwards the garda sergeant discharged his firearm, apparently killing the dog and injuring Mr Stokes. 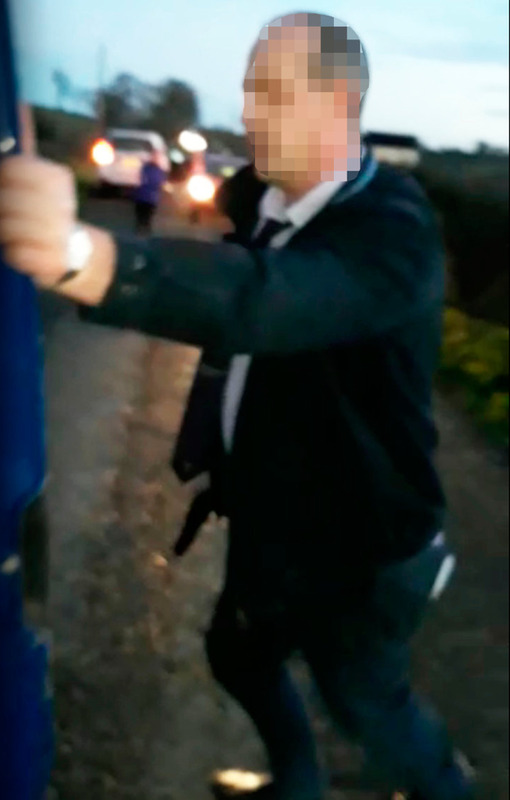 Some of the confrontation was filmed on a mobile phone and this footage has been widely circulated on social media. It is understood Mr Stokes is recovering well from the injuries he sustained on Monday evening. Gardaí are also investigating the incident and it is understood that Assistant Commissioner Orla McPartlin travelled to Granard garda station yesterday to meet with senior officers there to be briefed on what happened the previous night. Sources say gardaí are investigating if any criminal offence took place during the confrontation. There have been no arrests so far in the case. Independent.ie Newsdesk GARDAI are investigating after three youths threw a suspected device into a house in Drogheda last night, just hours after a man was shot twice in a nearby estate. Independent.ie Newsdesk Police are trying to track down the owner of a five-foot long snake that was found dead in a field in Co Armagh. Independent.ie Newsdesk The family of murdered teenager Jonathan Cairns have made an emotional appeal for information on the 20th anniversary of his murder.